Everything about AMA Kristina was Special. It is true, all is included, except gratuities to Tour Guides and Staff (at the end of the trip). They provide, advise, and have everything you can imagine. The ship is a Happy Place floating to take you to additional Happy Places. Can hardly wait to take another AMA Cruise! 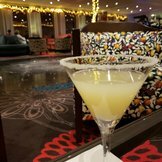 Their service is excellent, I wish I had purchased the Pre and Post Cruise options, AMA knows how to have fun! We had a wonderful week of sailing. We were so happy with the ship and the destinations. The staff and service were so special. 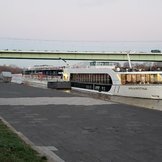 We are looking forward to our next adventure with AMA Waterways! AMA does a great job. One tiny excursion that was a waste of time (Gengenbach). The food was fantastic, the wine was flowing, the service was excellent. All the staff were friendly and always smiling. The tours were wonderful, as were the guides. i can think of nothing that needs improvement!!! From the time we got on the ship until we left, the crew and staff made us feel at home. enjoyed the excursions as i got a chance to really get a feel for different cities. Even when there are issues, the crew worked diligently to get it all take care of! Absolutely enjoyed it all!! Cruise was very relaxing. Not a lot to do onboard but it is nice that they have tours already scheduled. Had to switch ships from the AmaStella to the AmaKristina due to water levels but Betti - the cruise manager, did an amazing job handling it and the cruise - very minimal impact. Not as much food as on the big ships and not available at all time. Food was really not up to par. They need to realize that not everything needs to be cooked with alcohol. Some people don't or can't have alcohol. Terrific sailing. Ship is beautiful. Crew was helpful and kind. There is nothing that compares to a River Cruise. Ocean cruises take you to a country, River cruises take you through multiple countries. The smaller ship makes for a more personal and intimate experience. You get to actually meet and socialize with the people you cruise with. We met so many wonderful people. The included Excursions were led by extremely knowledgeable, local guides who walked us through every city we visited. At the end of each day I told my husband "today was my favorite day it can't get better than this" and it did get better and better until the final day when I had to leave this incredible experience and my new AMA family! Absolutely wonderful Tulip Cruise to ports in Belgium and Holland. All excursions were included and were fabulous. Food was fantastic in both restaurants and we had a lovely Piano/keyboard player for dancing at night and they had a couple of entertainer groups come on in ports as well. Weather was lovely for April and we thoroughly enjoyed it. 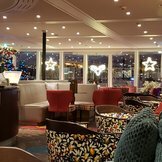 If you choose to follow AmaKristina you will receive weekly email updates with the latest reviews, tips, and photos from Cruiseline.com members about AmaKristina.